Olympic eventer Gina Miles shares 10 tips for picking the right bit for your horse. Gina Miles and S.V.R. 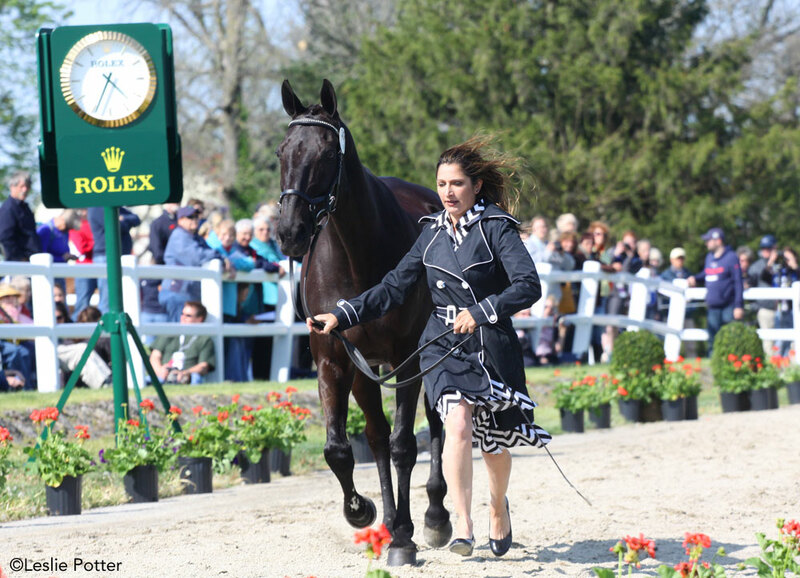 Ron at the 2015 Rolex Kentucky Three-Day Event. 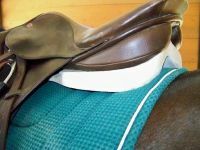 Selecting the correct bit is one of the most important parts of training your horse and bringing out his best performance. Here, Gina Miles, the 2008 Olympic individual silver medalist in three-day eventing, shares advice to help you navigate the many bits out there. 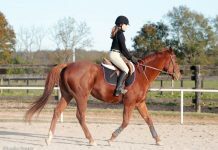 Miles uses the following guidelines when deciding on a bit for a particular horse-and-rider combination. 1. Use the simplest bit for the job. “Whenever I have a new horse in the barn or a new student, I first want to see how they go in a very basic double-jointed loose-ring snaffle,” says Miles. 2. Always remember to go back to the basics. If you have been using other bits during show season, try going back to the basic double-jointed snaffle during a break from competition or over the winter. “It’s always a good idea to take a step back and see if your training has been effective and produced a more rideable, responsive horse,” says Miles. 3. Use enough noseband to get the most out of your bit. “For a strong horse, try using a stronger noseband if it’s legal for your discipline before upgrading to a stronger bit,” says Miles. “Even a very strong bit won’t help you control your horse if his mouth is open.” Likewise, a very mild bit can be overused and make the horse dull in the mouth because he will open his mouth to escape the action. For dressage, jumpers and eventing, Miles recommends trying a flash, figure-eight or dropped noseband, each of which help keep the mouth closed more than a standard cavesson noseband. 4. Find several bits you like and then alternate between them. 5. Train in a milder bit than you use for shows. When you get to a competition, your horse is likely to be more excited and stronger, especially when jumping. “If you work on making your horse listen to your aids at home when practicing with less bit, you are more likely to have better success in controlling him when you are in a stressful situation,” says Miles. 6. Compete in a bit that is strong enough to be effective. “If you get to the competition and you do not have enough bit to get your horse’s attention, you could end up being counter-productive in your training,” cautions Miles. “Frequently, horses that are under-bitted have riders who pull too much and don’t use enough leg.” This is a safety concern when jumping. 7. Safety must always be a priority for riders. Horses are big, strong and potentially dangerous animals. Jumping cross-country requires that the rider has enough control to be safe. “When in doubt, I always err on the side of a stronger bit during cross-country,” says Miles, who takes care to ensure her students stay confident and in control. “Then they learn to use their leg and seat aids more effectively, which will ultimately reduce their dependence on the stronger bit.” When used correctly, a stronger bit lets you be lighter with your hands. 8. Consider what type of action you are looking for when selecting a bit. The bit’s action is affected by the mouthpiece, ring shape and amount of leverage. Even a basic snaffle has a wide variety of mouthpieces to choose from; the most common are single-jointed and double-jointed. A single-jointed bit has more of a “nutcracker” action, and is therefore stronger than a double-jointed snaffle. For most horses, the double-jointed snaffle is more comfortable. “A Waterford mouthpiece can be combined with different types of rings and is good for horses that lock their poll and jaw,” says Miles. “Usually, horses are strong because they get rigid. The Waterford is excellent for suppling these types of horses.” The Waterford is not legal for dressage, however. Another strong snaffle mouthpiece (not legal for dressage) that is frequently combined with D-rings or full-cheek rings is the slow twist. Very severe bits, such as the double-twisted wire, should only be used by the most expert, forgiving hands. 9. Types of bit rings include the eggbutt, loose-ring, full-cheek and D-ring. Miles recommends the sturdy, more fixed rings of an eggbutt bit for horses that easily get pinched by loose rings or tend to chomp or play with the bit too much. Full-cheek bits and D-ring bits are traditional in the hunter ring, and full-cheek bits have the added advantage of giving you extra turning assistance, especially when used with bit keepers. 10. If your horse is not responding appropriately to any of the snaffles, you can look to the leverage bits. “One of the questions you should ask yourself when considering a leverage bit is, ‘Do I want to get my horse’s head up or down?’” says Miles. If your horse tends to be high-headed, applying leverage to the poll and chin (via the curb chain) using a kimberwicke or Pelham will help correct this. If your horse dives down with his head too low, an elevator bit (also called a three-ring) will encourage him to raise his head. Regardless of which bit you use, remember that any bit can be as strong or severe as the hands it’s in. Also, over-bitting or overusing a bit can create fear and resentment in any horse, which may take professional training to undo. When in doubt, seek the advice of a respected trainer who is sympathetic to the needs of your horse as well as your riding. Thanks for the excellent article and tips. It’s interesting that elevator bits tend to help with lifting the head… I actually have the opposite problem with my mare. She is VERY strong when jumping or out galloping (but not naughty by any means). With the elevator though, first thing she does is tuck her nose and lean into the bridle, taking away most of my braking and turning control. I wonder why she would have this reaction to the 3 ring bit? Another person posted that she had the exact opposite experience with leverage bits. The reality is most due have this painful lesson with leverage bits because whenever you up the ante with a BIT you must up your ante with a lot more leg and more tactful aids. Many horses who get low in the bridle are telling the rider something, more bit only creates the false illusion of control and when horses curl and run off at shows with these 3 ring bits or heck look at poor Cindy Burge who died in a leverage bit when her horse curdled in Montana and fell with her in a wheat field unable to stop. My point is leverage bits are NOT the answer unless you can refine your skills!